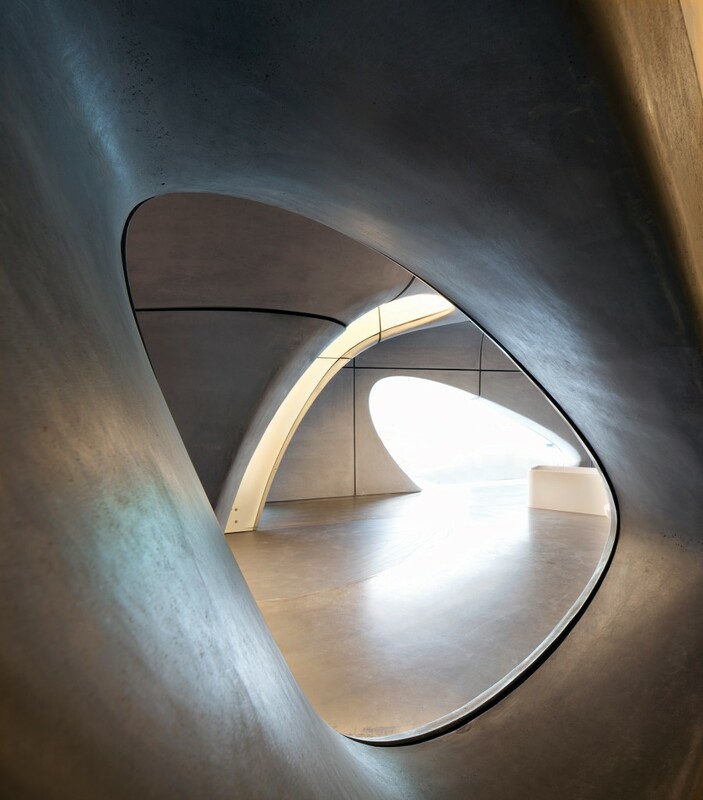 The 1200m2 Roca London Gallery designed by Zaha Hadid Architects, open in September 2011. 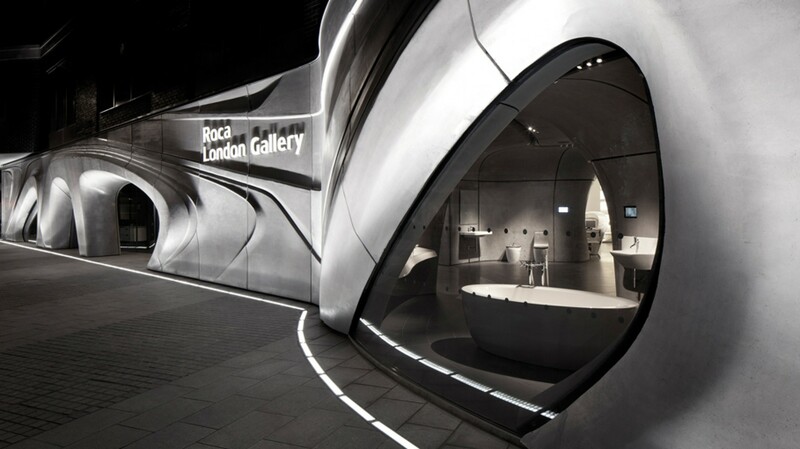 Roca London Gallery a flagship store in the UK and is said to be a space in which visitors can experience and re-discover the bathroom space. With this new futuristic space, Roca will have in London a main gallery, with areas for displaying their products as well as office space for their staff. 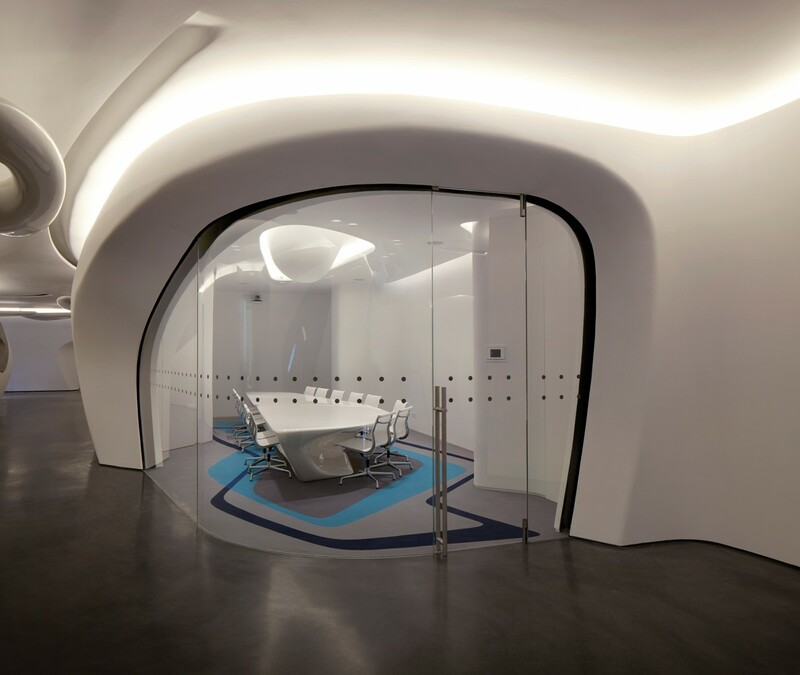 Since early stages, CRICURSA has been involved assisting Zaha Hadid Architects offering them all the necessary technical support and advice regarding glass manufacturing feasibility. One of the key points has been the engineering of the most appropriate glass compositions, helping the architects to select suitable low emissivity and solar control bendable coatings that will end conferring the gallery with the expected look and comfort. While respecting the gorgeous relaxing building curving surfaces, CRICURSA has manufactured large shaped façade bent double-glazed units (DGU) and interior oversized laminated glass. Like the spectacular gallery in Barcelona, glass also made in CRICURSA, the Roca London Gallery has been designed as a total brand experience offering social activities, cultural exhibits, and a year round exhibition schedule with content related to design and architecture.